You can never know which coin can bring you the highest profits, but you can definitely choose your cloud mining company wisely and increase your chance of success. By narrowing your choice down to two excellent companies, you are just a step away from a potentially lucrative mining endeavor. 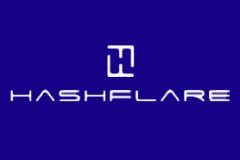 This expert-made HashFlare VS Bitminer comparison will show you whether your instincts were right and tell you which one is the better choice. This comparison is based on three objective criteria for cloud mining company selection. Transparency indicates the legitimateness of the business and its openness in communication with its clients. Reliability stands for the quality of the provided mining equipment, the stability of the mining farms, the functionality of the payout system, and other indicators of general performance. Profitability is a reflection of the performance and quality of the service provided on the success of your mining endeavor and it is carefully calculated based on a large pool of testing data. Here is the final result. Be a part of the biggest economic revolution since the invention of money! Crypto-currencies like Bitcoin are taking the world by storm and you can learn all about them on our site Virtual Banking.